One of the biggest computer validation challenges facing pharmaceutical manufacturers is the large corporate system. 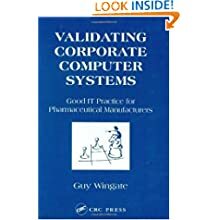 This book provides practical information and advice on good IT practice and validation principles. Written by experts, it includes case studies on EDMSs, EAM systems, LIMSs, and MRP II systems.